Who watches CCTV Nightly News? [A research report on CCTV Nightly News: More than 60 percent of web users don’t watch the program at all, and 70 percent say it’s poor!] Recently, China Central Television said its own satisfaction surveys showed that it’s Nightly News program was on top. 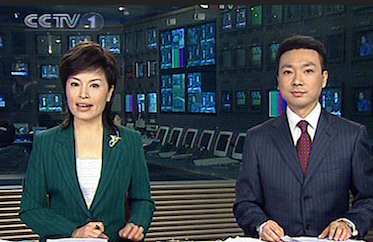 Since the 1950s, the CCTV Nightly News has dominated prime time television for tens of millions of Chinese families. But survey results [from Netease] show that more than 60 percent of web users don’t watch it, and close to 70 percent believe it is rather poor. There’s a big gap between this survey and CCTV’s own investigation! In fact, as users can see from the image below, posted along with the Kdnet.net Weibo post, that the survey results showed that only 10.8 percent of those surveyed by Netease watched the CCTV Nightly News either “every day” (2.9%) or “often” (7.9%).